Title [13th Army Engineers packing mess gear into a crate as they are preparing to leave for Camp Logan] [graphic]. 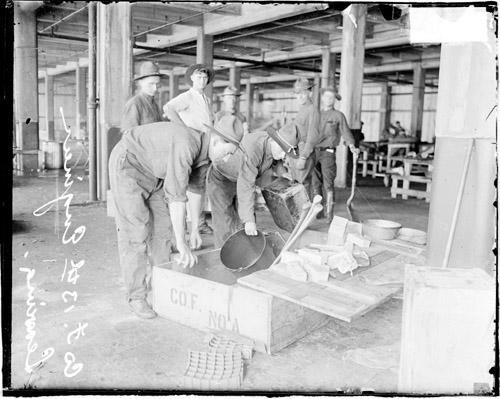 Collection summary Image of 13th Army Engineers packing mess gear into a crate as they are preparing to leave for Camp Logan in Houston, Texas. This image was taken in Chicago, Illinois. Names United States. Army. Engineers Division, 13th.